Graph structures are commonly used to represent knowledge across various domains and problems. It shouldn't be surprising that they are also present in many probabilistic models. In this class we will introduce probabilistic graphs — weighted graphs with weights representing probabilities. Next, there will be very short introduction to decision theory in Problog. 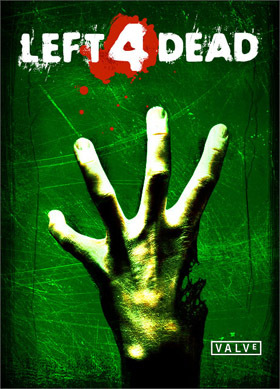 Finally we will try to escape from zombies which clearly shows usefulness of this class. The weight should be interpreted as a probability that transition from node to node (from state to state?) succeeds. 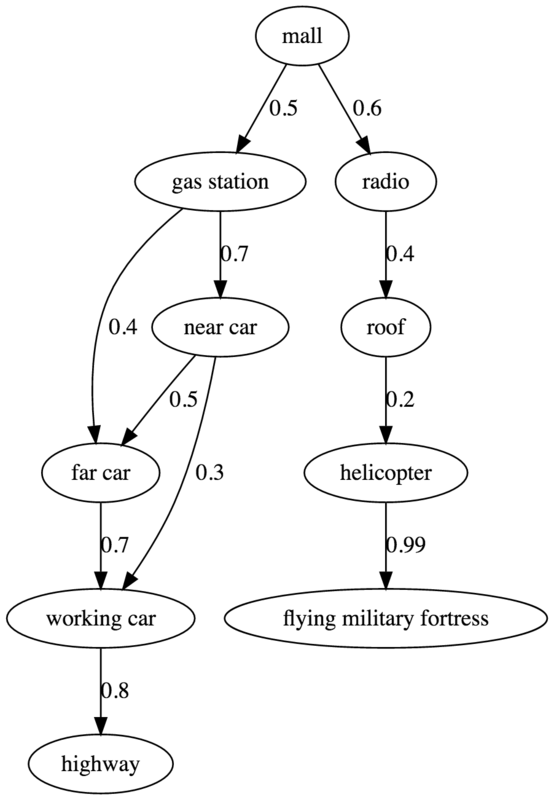 We can now write a rule (the same as in classical Prolog) to check if there is a path in a graph, i.e. Now you can ask Problog, what is the probability of reaching 5 from 1. Someone very evil and mischievous leaked a zombie virus in a shopping mall air conditioning system. This way of spreading the virus isn't very efficient, but there is 0.1 probability that somebody will get ill just from breathing the bad air. What makes situation worse is that the virus attracts the already infected people. There is a high chance (0.6), that the healthy people will get infected if they get in a physical contact with already infected ones. So, the situation is clear. We have some people in the mall, to save computing time let's say there are eight friend. In order to make your life easier, we will generate them using a built-in Problog predicate between/3. human(X) :- between(1, 8, X). Now, some of them (let's say first 2) are already infected. initially_infected(X) :- human(X), X < 3. And finally our probabilistic graph! We will say that two people can get in a physical contact with 0.1 probability. It's a very dense graph (clique) with quite weak edges. 0.1::contact(X,Y) :- human(X), human(Y), X \= Y.
how would it change if there was only one infected person in the beginning? how would it change if one couldn't get infected via air? what is the impact of the resistant people on the whole population? OK. The epidemics started and unfortunately you and your three friend are the only ones who remained human in the whole shopping mall. Now you have to escape. After the initial disbelief and inevitable panic, you start planning your escape. You are aware of only two viable escape routes: you have a car in the parking lot and there is a helicopter pad on the roof of the mall. the cellular network is dead (what happened?!) and you have to get to the only radio station (security room) in the mall to contact the army so the can send the helicopter; what's more you're not sure if the helicopter will be here soon enough to save you. The graph below shows both plans — graph weights represent probability that your team will survive the travel. which escape route is more probable according to the Problog query engine? Then we calculate the estimated outcome based on the probability theory and voila, we find which decision is the best at the moment. In the Problog online editor just choose DTProblog from the available actions. broken_umbrella :- umbrella, rain, wind. dry :- rain, umbrella, not broken_umbrella. the escape plan got a bit more complicated… there are two cars near the mall: one close to the mall (but very old and already destroyed a bit by the zombies, it may not work) and second one, more far away, but in much better condition. There is a new decision to make: to which car will you go first after getting the gas (you can always try to switch car later)?